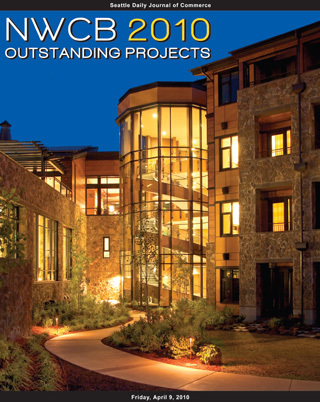 The Allison Inn & Spa in Newberg, Ore., was judged to have the best interior of new commercial buildings in Oregon. It was one of 18 projects honored by the Northwest Wall and Ceiling Bureau. The Northwest Wall and Ceiling Bureau yesterday was expected to hand out 18 awards for outstanding wall and ceiling projects at the association's 60th annual convention and trade show in Tucson, Ariz. Awards were to be given for commercial and residential projects, for both interior and exterior finishes. Two were for suspended ceilings. In the U.S., there were four winners in Washington, four in Oregon, one in Alaska and one in Idaho. In Canada, there were five winners in British Columbia and three in Alberta.